Imagine if a FIFA World Cup stadium in Germany had been named the Adolf Hitler Stadium. Would Germany have permitted that? Would they just have glossed over the names of those responsible for the deaths of so many? Why then will FIFA 2010 World Cup matches be played at the Peter Mokaba Stadium? Peter Mokaba openly encouraged the murder of innocent South Africans and he influenced the South African Government to deny the existence of HIV/Aids. 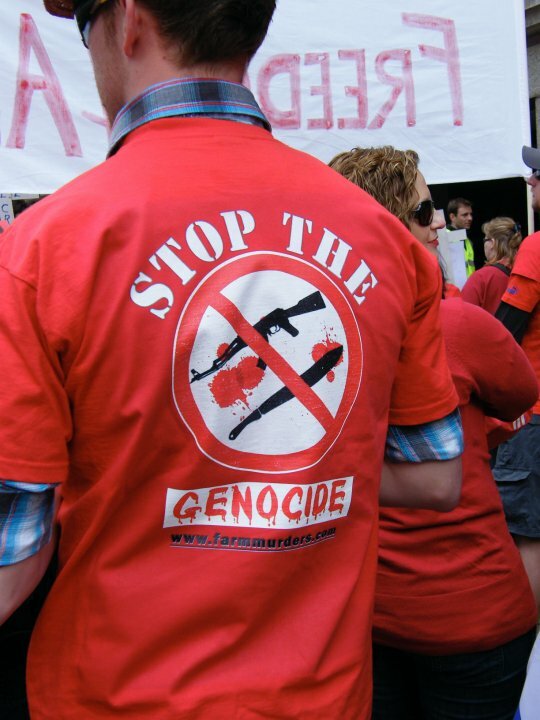 More than 2 000 farmers have been brutally murdered because of what Mokaba stood for, and more than 10% of our South African population are HIV positive. FIFA owes the families of the murdered South African farmers and the victims of HIV/AIDS an apology. Herewith I would like to express my dismay at the decision to allow international FIFA games to be played at the Peter Mokaba stadium. Mokaba was an inciter of racial hatred and a denialist of HIV/Aids. His actions has caused endless pain and suffering in South Africa. I request of FIFA to take steps to commemorate those who have suffered as a result of farm attacks and HIV/Aids in South Africa. Click here to send the letter to FIFA. AfriForum Youth is a civil rights student movement, aimed at promoting autonomy amongst the youth and to improve the circumstances in South Africa by actively campaigning for youth rights. AfriForum Youth is the fastest growing youth organisation in South Africa and is currently establishing branches at tertiary institutions across the country. Early in 2010, AfriForum Youth sent a formal letter to FIFA, requesting that the name of the Peter Mokaba Stadium in Polokwane be changed. The FIFA 2010 World Cup Tournament is taking place in South Africa this year. Peter Mokaba was a racist instigator, a promoter of ethnic violence and an HIV-denialist. FIFA refused. Thereafter, AfriForum Youth kindly requested that FIFA remove the glorification of Peter Mokaba from their website and that FIFA commemorates the victims of brutal farm attacks and HIV/Aids during World Cup games. AfriForum Youth also informed FIFA that we would launch an international awareness campaign about the true legacy of Peter Mokaba, should FIFA continue to treat the South African farm attack victims and the victims of HIV/Aids with contempt. Get more information about AfriForum Youth.